It was at the National Think-Tank meeting in Lagos at the Muson Centre, Lagos, in July, 2006, that Mrs Funmi Babington-Ashaye was first noticed. It was impossible not to notice her from the madding crowd of intellectuals that were gathered at the venue. She was very beautiful in her ebony black skin and radiant dress. In fact, she became a sinecure of eyes when she stood up, with dignity, self-confidence, but with dignified humility, to address the gathering on her experience in finance, insurance, manufacturing, board room politics etc. She spoke for about six minutes. Those words she spoke will forever be ingrained in her listeners’ memory. In subsequent meetings of the Think-Tank, she was asked to chair or participate in most of the meetings and countless assignments focusing on children, education, commerce & Industry, Banking & Finance, Insurance and Brokerage, among many others. We are still grappling with the depth of information and experience this beauty commands. She is an encyclopaedia. Do not get this wrong. What this means is that she is a true Scholarship. She does all this with self-respect, discipline, composure and maximum respect for her audience. During the constitutional review meeting of the National Think Tank that was Co-Chaired by His Excellency, Governor Rotimi Amaechi of Rivers State and His Excellency Aliyu Muazu Babangida of Niger State, some of the members approached us- Steve Azaiki, the National Co-ordinator and his good friend and Co-Initiator, Dele Agekameh, requesting that we should recommend Funmi as a Minister of the Federal Republic. We obliged after listening attentively to the arguments put forward on her eligibility for such a high post. But the letter got to Mr President late. She will still be a Minister and perhaps, a fine Ambassador of Nigeria one day and very soon too. We are all looking forward to that date. It is people like Funmi Babington-Ashaye that give hope for Nigeria’s greatness. She is good because we have worked closely with her. Every member of the National Think-Tank believes so. Two years ago, Azaiki received an invitation from Funmi to Chair a workshop on Insurance. Azaiki called her on phone to protest that he does not know anything about the Industry and so will not be able to do Justice to the program. Funmi said in spite of the fact that she knows Azaiki as a member of the Board of Sovereign Trust Insurance, Azaiki had punished her enough by given her all kinds of difficult assignments to do for the development and progress of Nigeria. She said now was her turn to reciprocate or retaliate as the case may be. Funmi Babington-Ashaye’s commitment to the development and progress of Nigeria is total. Her seriousness and dedication to assignments, is unbelievable. A Knight in shining armour, she is a shining example of the greatness that Nigeria could be. She is an epitome of humility, beauty and character. She is truly a great Nigerian. Beauty and brain is not all, she has a strong will and toughness that is rare to see in a woman. When she lost her husband, Prince Ade Babington-Ashaye, an accountant, socialite and accomplished businessman about three years ago, she was completely devastated. Although she was in tears all through the funeral in January 2012, she nevertheless, took pain as much as she could, while weeping internally, with occasional tears in her eyes, face straight as if in total submission to God’s will, she was able to receive visitors who had travelled from all parts of the country to pay their last respect and witness the burial of her dearest husband, who meant so much to her. We saw her that day and wept for her. How can this man leave such a woman in her early age? Both of them, as we learnt, loved themselves. It was a marriage made in Heaven. Sometime, small minds will question God, why should this happen to our friend. Mrs Babington-Ashaye deserve glorious pages in the US Time magazine, yet in her humility in sending the invitation for a small group of friends and family prayer session in honour of her birthday, she had humbly requested that nobody should bother to place any congratulatory messages for her in the papers. What this translates into is that she is still deeply mourning her better half who died a few years ago at 62 years of age. We felt we should disobey her request because deserves much more than pen on paper. After all, William Faulkner (1897-1962) was right when he said: “It is the writer’s privilege to help man endure by lifting his heart, by reminding him of the courage and honour and hope and pride and compassion and pity and sacrifice which has been the glory of his past”. To paraphrase John F. Kennedy; “if this nation is to be wise as well as strong, if we are to achieve our destiny, then we need more new ideas for more wise men and women working for our Country, than most of those sitting in Abuja dreaming about a timelong gone and a future that reads failure”. Friendship, like novel, to us and the much we know of Funmi, remains for us one of the few forms where we can express our innermost thoughts, express man’s complexity and the strength and decency of his longings; where we can describe, step by step, minute by minute, our not altogether unpleasant struggle to put ourselves into a viable and devout relationship to our beloved and mistaken world. In friendship you can be yourself and not worry about mistakes and caution and language and compromise and pain and love; that is true friendship. So our dear beloved Funmi, sure this comes as a surprise to you but we have decided to celebrate you. You are a patriotic, detribalized, courageous, and committed Nigerian. You believe in a Nigeria that, where you come from, your religion and social status, should not be determinant of your citizenship or the position you should occupy. You believe like Martin Luther King that we should be judged by the content of our character. In the international organisation, Entreprenuers’ Organisation, EO, which you, Dele Agekameh and others co-founded in Nigeria, you have demonstrated that you have all it takes to be a leader in Nigeria. You have exhibited so much Spartan determination in your day-to-day activities to the extent that whoever comes across you cannot but think that you have iron in your backbone. That is a yardstick of the type of reverence people have for you. Funmi, who is reputed to be the first female Managing Director of a publicily quoted insurance company in Nigeria, Cornerstone Insurance Plc, where she served for 16 years, until she left voluntarily, holds a masters degree in Business Administration (MBA). She is a fellow of the Chartered Insurance Institute of London (FCII) and Nigeria (FCIIN).She also has to her credit, many well- written published articles to educate Nigerians and insurance professionals on a wide range of topics such as risk management, management and information technology among others. She cut her teeth in Royal Exchange Assurance Nigeria (REAN) in 1987. Thereafter, Funmi joined Cornerstone Insurance Plc in 1991 after much persuasion from the company’s pioneer CEO, the late Adetunji Ogunkanmi, who saw in her, potentials that can be harnessed for greater performance. According to Ogunkanmi, there is the need to revolutionise insurance business in Nigeria and Funmi’s experience came in handy. Funmi whose decision to join Cornerstone’s train is borne out of the need to be part of history, and share the vision of Ogunkanmi, was first trusted with the responsibilities of managing the ‘general business’portfolio in the company in 1991. Through perseverance and hardwork, she rose through the ranks and got promoted at every level from the position of a manager in 1991 till 2002 when the company’s board appointed her to sit on the board as executive director overseeing technical and risk management matters. In October 2005, she was elevated to the position of a Managing Director/CEO. Funmi’s achievements largely contribute to her meteoric rise. She has saved the insurance sector millions of naira through her proposal that has been adopted and practiced in the country. Insurance companies by virtues of the proposal are no longer paying unnecessary claims, especially in motor accident due to risk adjustment. A unique ability in Funmi is that she is a goal-getter. This she did by providing quality leadership within the 16 months she called the shot as CEO of Cornerstone. She grew the business portfolio of the underwriting company from N1.5 billion at the close of 2005 business year, to a whooping N2.7billion as at November 2006. This is 80 per cent growth rate within a year, a feat in the history of the company. During her tenure, she introduced several innovations among which is the 3-days motor accidental claims process and the recently introduced Saturday insurance, believed to be the first in insurance industry in Nigeria. The Children Education Fund (CHEF) is one of the retirement products put in place during her tenure to take care of children through their parent’s little savings, among others. Few years ago, she was also appointed by the Federal Government as Managing Director/ CEO, of NICON Insurance Company and charged with the responsibility of repositioning the company, an assignment she did creditably well. Today, she runs a flourishing risk underwriting company, Risk Analyst Insurance Brokers Limited that is making great waves in the insurance industry. 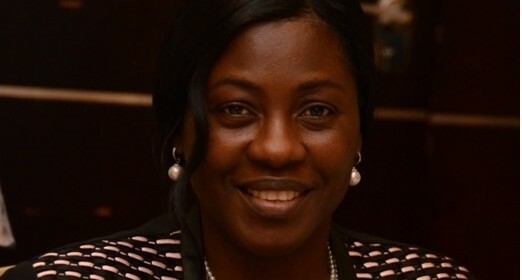 Funmi, we celebrate you, and we raise our hat in obeyance and respect to an achiever, as you mark your birthday tomorrow, February 8, 2015 with your family and a few, well selected friends who will join you to praise God Almighty for sparing your life and taking you to this high pedestal of achievements. We ask God to continue to bless and prosper you. May we celebrate you yearly and may our country rediscover you and may your service continue to inspire younger generation and generations yet unborn. This woman, this mother, this wife, this sister, could have been the Queen of England, the Princess of Toro, the Omovie of Yenagoa, the Ebiere of the Izon Nation, or the Moremi of Yoruba land, yet she is a simple, unassuming, brilliant, intelligent, classic, cosmopolitan Yoruba girl, queenly and beautiful. Happy birthday to a woman of substance! *Prof. Steve Azaiki and Dele Agekameh, both founders of the National Think-Tank, sent this piece from Abuja.